Lapco Paintball Uni-Flow Piston HousingLAPCO is proud to introduce the world to the LAPCO Uni-Flow Piston Housing. The patent pending design utilizes a smooth bore for faster action and longer piston seal life. The LAPCO design has precisely optimized the venting timing, location and volume. The unique Uni-Flow� design rapidly vents the gas at just the right moment, but does not allow dirt or paint to be pulled into the housing on the reverse stroke. This innovative design prevents dirt clogging and piston seal wear.FeaturesThe LAPCO Uni-Flow� Piston Housing eliminates skipped shots caused by air flow problems stemming from high rates of fire or low pressure operation.Each LAPCO Uni-Flow� Piston Housing is precision machined from high-grade aluminum.Every housing is laser engraved and finished using an extra-hard black anodizing process for an extremely durable finish.Made 100% in-house in the USA.This product carries the legendary LAPCO Lifetime Warranty. 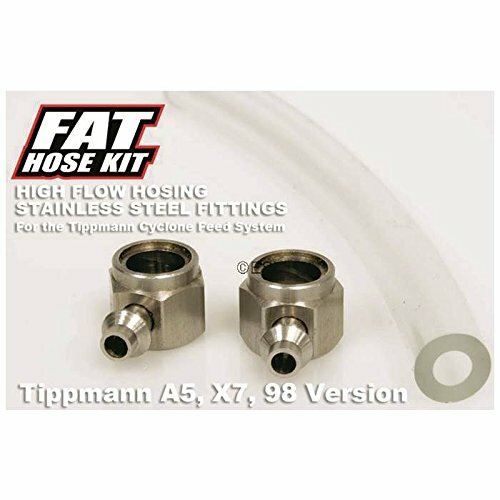 The FAT HOSE Kit for the Tippmann Cyclone Feed is the best and easiest way to get more from your loader. With the FAT HOSE Kit your loader will perform better at lower pressures. The larger hose gauge allows more air to reach the Cyclone Feed Actuator Piston (AKA Lightening Rod). More air to the piston = more reliable and faster actuation. Faster Actuation leads to faster loading. Not only allows for more air flow, but its also made from 100% Stainless Steel Fittings. The stainless steel is more durable and will never corrode or oxidize. 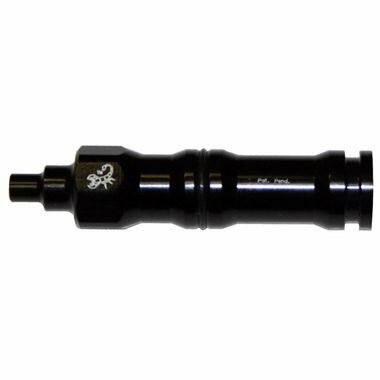 The Lightening Rod is designed to work with the stock parts or in conjunction with our Vortex Mod and Quick Exhaust Piston Housing. Together, the parts will yield higher rates of fire and increased air efficiency. 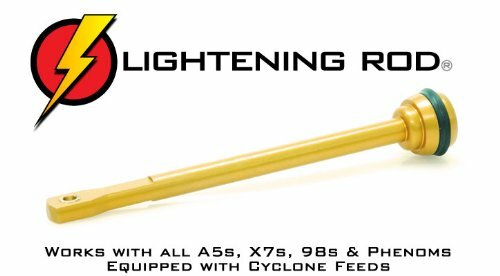 Users have reported feed rates as high as 30-35 balls per second when using the the Lightening Rod in conjunction with the other TechT Cyclone Feed Upgrades. The secret to the performance gains is the brass bushing located where the ratchet and piston rod met. This bushing creates less friction than the stock's design with just a plastic hole. This bushing creates a smoother and faster action, increasing the speed and reliability of the Cyclone. 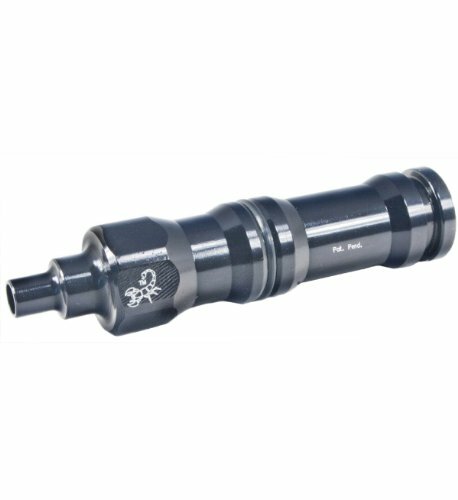 The Lightening Rod is made of 7071 grade anodized billet aluminum which is stronger than any other like it. This stronger aluminum will not bend or break like the plastic, giving it a much longer wear life. It also allows all of the power needed to drive the Cyclone to be directed straight through the Lightening Rod to the ratchet system and not be lost in the bending action like the stock. 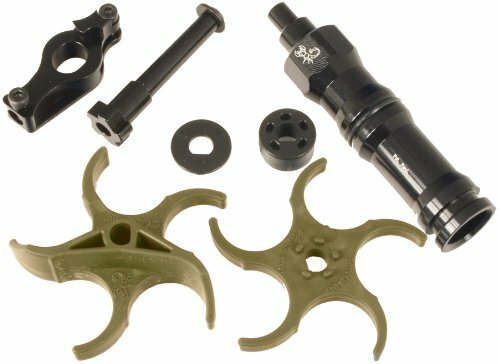 Ratchet Upgrade- Our aluminum ratchet upgrade for the A5/X7/98 Cyclone was made to increase rate of fire and provide a higher level of durability within your cyclone. This upgrade includes threaded pins making it a simple install that can be done with an Allen wrench. Premium Soft Paddles- These soft paddles will decrease the the amount of ball breakage within the Cyclone. Soft paddles also allow players to shoot at an increased rate of fire with no problem. These paddles are interlocking, meaning that both the upper paddle and lower paddle fit together and won't slap during use. LAPCO Uni-Flow Piston Housing- This upgrade is used to increase the reliability of your Cyclone (no more missed/skipped shots). It also features our Uni-Flow Venting that won't allow dust or dirt to get sucked into the Piston Housing. 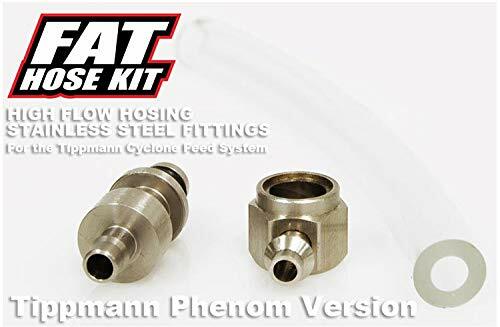 The FAT HOSE Kit for the Tippmann Cyclone Feed is the best and easiest way to get more from your loader. With the FAT HOSE Kit your loader will perform better at lower pressures. The larger hose gauge allows more air to reach the Cyclone Feed Actuator Piston (AKA Lightening Rod). More air to the piston = more reliable and faster actuation. Faster Actuation leads to faster loading. Not only allows for more air flow, but its also made from 100% Stainless Steel Fittings. The stainless steel is more durable and will never corrode or oxidize. ***This version only works with the Tippmann A5 and the X7. For an X7 Phenom, please see other listing. This product is corrosion and abrasion resistant. Designed to rapidly release the blast of air to help loader response time. A reliable, heavy duty design. The flexible durable rubber makes for a longer lasting ball latch. 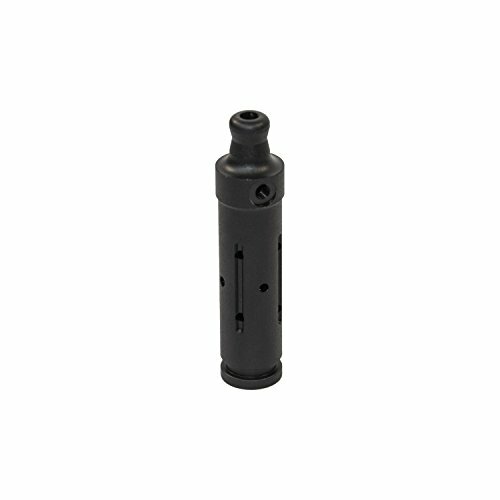 Will fit any tippmann gun with a cyclone feed installed. Color: Black. 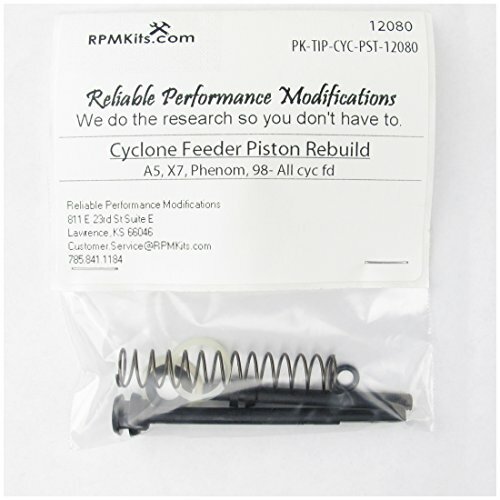 Compare prices on Cyclone Feed Piston at LiveSaler.com – use promo codes and coupons for best offers and deals. We work hard to get you amazing deals and collect all avail hot offers online and represent it in one place for the customers. Now our visitors can leverage benefits of big brands and heavy discounts available for that day and for famous brands. We try to makes comparison shopping easy with Product Reviews, Merchant Ratings, Deal Alerts & Coupons. Find Deals, Compare Prices, Read Reviews & Save Money.